We’re always looking for good singers to join our ranks. Although the ability to read music is not essential, some level of sight reading is a huge advantage. The most important thing is a love of singing and a drive to want to sing to the best of your ability. There is no formal audition. 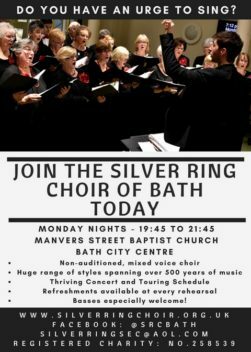 If you have a good singing voice within your range and the enthusiasm to support the Choir in our musical activities, then we will always have a place for you.